For the first time, kids cooking classes will run as part of Flavours of Greece. 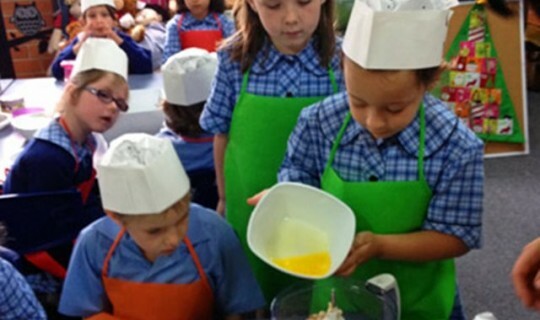 The classes will be hosted by The Travelling Kitchen, who offer a hands-on incursion program run at crèches, kindergartens and primary schools all over Melbourne. This wonderful program is heading to the Greek Centre this month (25-26 September), offering children of Primary School age the opportunity to take part in a hands-on cooking workshop.